A few years ago I joined an expedition to climb Cho Oyu in Tibet, where the operator brought along a DVD player and projector. Every evening after dinner the dining tent became a cinema. A screen was pulled down above the table and we cocooned ourselves in the dark as the snow fell over our camp outside. Viewing was decided by majority vote, which meant, except on one memorable occasion when we watched the BBC sitcom The Vicar of Dibley, our entertainment was almost exclusively violent action movies. I use the word entertainment in a narrow sense, depending on whether gun battles and explosions are your thing. The body count reached double figures most nights, and one morning people arrived at breakfast a little shell shocked after watching what came to be known as the torture movie. The previous night’s viewing included an interrogation scene during which somebody’s throat was cut with a knife. You’ve probably guessed that watching action movies in Tibet isn’t exactly my cup of butter tea. The first couple of viewings were enough for me, and after that I returned to the sleeping tent after dinner to read my book. I couldn’t understand why anyone would want to disturb the sparse beauty, wildness and tranquillity of the Tibetan landscape and it’s rugged mountains by watching people shoot each other, but I was clearly in a small minority. I wouldn’t describe myself as prudish or squeamish, but at the risk of sounding like Mary Whitehouse in this week’s post I’d like to highlight what I believe is a growing trend. Action movies and computer games are much more violent than they used to be, and after two major tragedies on Everest in the last two years, which generated worldwide media interest, I have found myself reading increasingly violent reports, with explicit descriptions of injuries and upsetting photographs. I should start by saying that everybody draws the line in different places, and I need to hold my hands up and admit that I stand in the dock with everyone else. I have often used a photograph I took on 18 April last year, of an avalanche sweeping across the Khumbu Icefall. At first glance the photograph is innocuous enough, a long-range picture of a cloud of snow on top of a glacier, but the image may be upsetting to the families of those who died in that avalanche. I posted a video on YouTube of a helicopter carrying bodies on a long-line from the Khumbu Icefall back to Everest Base Camp. Again, the footage is taken from long range, and would appear innocuous to anyone who did not know the context. I believe the video is a sensitive tribute to those who died, but not everybody may agree. I have lost count of the number of requests I have had to use this footage, but I have only granted it twice to people I have trusted to use it sensitively, and I have declined all requests from commercial TV companies. I was probably one of the first people to report the nature of the injuries in last year’s avalanche in a blog post soon afterwards. I repeat the description with some misgivings, but this post would be meaningless without examples, and I need to be honest about my own role. I don’t want to flatter myself by claiming my blog influences anyone else’s writing, but descriptions like this were the start of a slippery slope which reached its nadir last week. 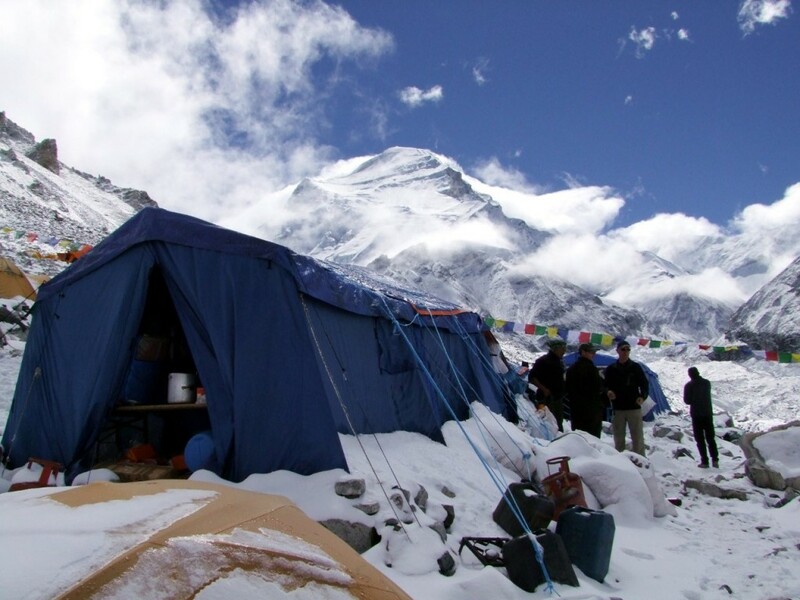 Two weeks after the tragedy the Discovery Channel rushed out a one-hour documentary entitled Everest Avalanche Tragedy, which included interviews with many witnesses at Base Camp. Although I spoke to a few people who thought it described the events sensitively, I found it a little clichéd and fake. The film included footage of the leg of a corpse. The victim had been identified in the story, and I remember watching it in Kathmandu with someone who knew them. When it got to this section they were unable to watch, and had to look away from the screen. I expect the footage would have been even more upsetting to the victim’s family. In July last year Outside magazine published a lengthy article about the tragedy called Everest’s Darkest Year, containing vivid narrative of the incident I had previously described as shards of shattered ice exploding like shrapnel. Outside’s descriptions were a little more vivid than mine, using what I might call an action movie style of writing. Significantly the article identified the names of some of the Sherpas involved, and includes a photograph of one of the victims in a hospital bed as his wife stands over him. 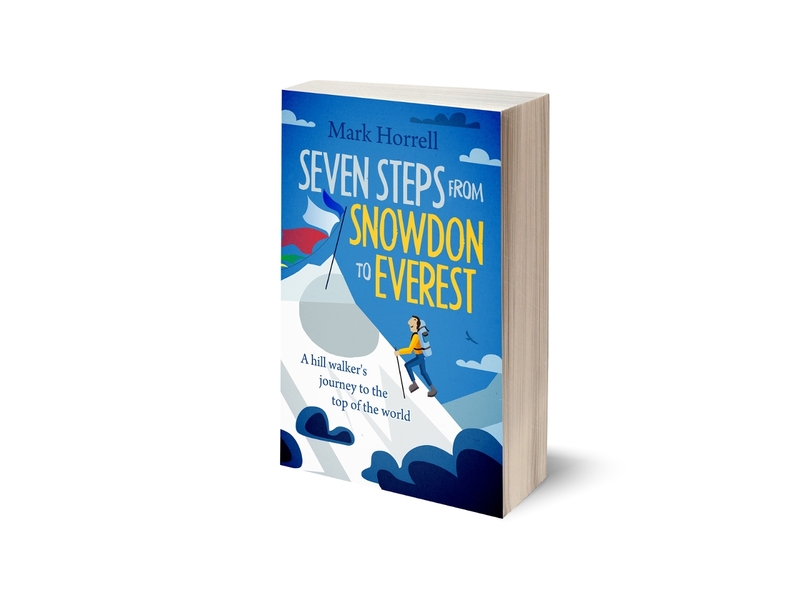 At the time the article was published Outside had been adopting an extremely critical editorial stance towards commercial Everest expeditions and, as I have written about previously, and had tended to use language that was deliberately provocative. It’s perhaps not so surprising their article contains a slightly more emotive style of writing. National Geographic, on the other hand, is considered more highbrow, and has a much longer editorial process before articles go to print, involving multiple edits and reviews. Yet in November last year they produced a very similar piece to the Outside one, entitled Sorrow on the Mountain. Again, some of the descriptions were vivid (though maybe not quite so action movie as Outside’s) and again victims were identified by name. Those of us who lived through the events of 18 April 2014, believed we had witnessed a tragedy the scale of which Everest would never see again. But a year later, on 25 April 2015, a powerful earthquake sent an unimaginably more powerful wall of rock and ice through Everest Base Camp, wiping out the central section of camp, killing 19 people and severely injuring many more. A year earlier most of us were shielded from the horror of witnessing the dead and injured high up in the Khumbu Icefall, but this year there was no escape. 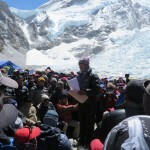 Those without physical injuries went through psychological trauma, and because of what happened last year there were many more reporters at Base Camp. It wasn’t long before footage of the avalanche appeared on YouTube. The sky was overcast that day and visibility was poor, so people couldn’t see the actual avalanche until it was nearly upon them. The footage tended to be of terrified climbers huddling inside and behind tents, expecting to be crushed at any moment. 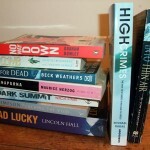 There were many harrowing accounts on climbers’ personal blogs, some quite graphic, others less so. Mostly they focused on the emotional trauma, and vivid descriptions of injuries were few and far between. I helped to edit one of these eyewitness accounts, and we both agreed some of the more brutal incidents should not be repeated, especially if victims could be identified. But last week a Nepali expedition operator called Dreamers Destination (a somewhat ironic name given the nightmare scenario they described) published the disaster report to end all disaster reports. It was entitled Mega avalanche at Everest base camp by mega earthquake, and was mercifully taken offline the day after it was published, but by then the damage had been done. The report was widely circulated on social media, many western climbers complimenting it with adjectives like emotional, poignant and powerful. Personally, I found it disturbing and gratuitous, and I’m sure I wasn’t the only one. The author started his piece by describing how he watched a video with a group of friends of a Nepalese citizen being beheaded by Iraqi terrorists, and how the image had stayed in his mind ever since. He did not say why he and his friends watched the video, but given the popularity of violent action movies, some containing scenes of torture, it would not surprise me to learn there are people who enjoy watching them. The article contained graphic descriptions of horrific injuries. A man whose eyeball was hanging out had it pushed back into its socket. This particular victim went on to die. There was a very precise account of the author helping one of his mutilated clients to pee. All victims were identified by name, and it must have been an extremely upsetting read for their families, or anyone who lived through the events of that terrible day. Even more disturbing were some of the pictures that accompanied the article. 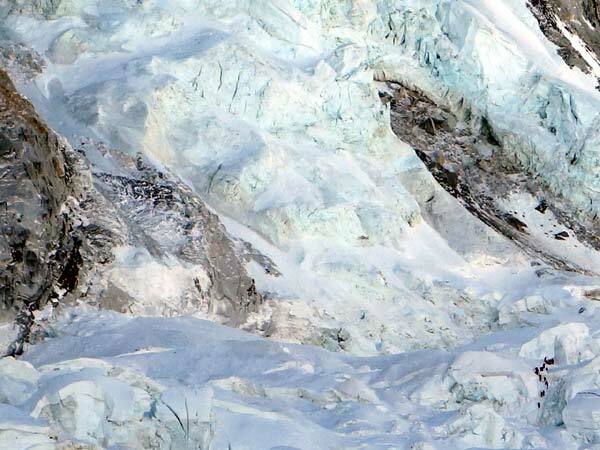 Clients and Sherpas were photographed lying down injured soon after the avalanche. The most shocking showed five victims lying in the snow in varying degrees of injury. A woman sat on a mound of snow, her face contorted with pain and staring accusingly into the camera. At her feet her friend lay in a pool of blood, her leg clearly broken. One of them appeared to have lost an arm, and another was kneeling down staring into the sky, his face covered with blood. In case anyone had difficulty identifying them, arrows had been added to the photo together with their names. Its shocking gratuity aside the article was long and rambling, with lots of unnecessary and irrelevant detail. It is doubtful many people read the whole thing from start to finish, and the first time I tried I got halfway through before giving up. It was so far from being suitable for publication it was unreal. The fact it was shared so widely, and so many people complimented the writer suggests we have become so desensitised to violence we no longer recognise whether it’s appropriate. An alternative theory is that the real-time nature of social media and the culture of sharing means that everybody rushes to share before their friends, without thinking whether or not it’s suitable. I have some sympathy for Dreamers Destination. 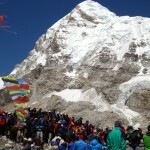 They lost five of their team that day, including a climbing Sherpa, a member of their kitchen crew, and three clients. It must have been terribly traumatic and stressful, and the author spent a great deal of time assisting people after his initial feeling of helplessness. But I do not understand the desire of those who have been traumatised to share their trauma with others, or at least without sparing some of the detail. It’s hard to understand why he chose to photograph his injured clients, or make personal details about their injuries publicly available, but I’m glad he recognised his error and took the post offline. I believe the truth needs to be told, and I don’t claim to know exactly where the line should be drawn, but I believe it’s reached a stage where we all need to think a bit harder about what we publish or share. We don’t read vivid written accounts of fatal car accidents, and we don’t need to hear graphic details of the injuries suffered by the victims to understand they must have been horrific. 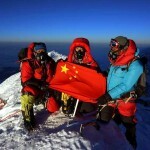 Why should mountaineering accidents be different? And we don’t have to encourage such writing by applying unsuitable adjectives. There is nothing poignant about a graphic description of mutilation. Neither is it powerful, because power has to be targeted to be effective. A powerful header is no good if it ends up in the back of your own net. A video of a beheading does nothing positive for the religion it sets out to promote, and invokes only a powerful feeling of disgust. As for being emotional, emotion is far more powerful when it’s controlled. One of the best examples I saw of this was the following news item for Aljazeera about the Nepal earthquake. The Nepalese reporter wandered around the streets of Kathmandu where she grew up, interviewing survivors about the damage to their homes. Throughout the piece she struggled to control her emotion, but in the final few seconds she broke into tears and turned her head away from the camera. There is nothing gratuitous or shocking in the report, but the final result is far more emotionally powerful than any action movie or its literary equivalent. I think in the United States this can be traced back to the introduction of cable (now satellite) TV that was outside the purview of the FCC. Before that time there was stricter censorship; you never heard a swear word or saw anything shockingly graphic on TV (I understand Europe has no such equivalent). Now gratuitous violence has gone from being occasional to being de rigueur and as a result Western culture has lost any semblance of delicacy or finesse. The masses are fed more and more violence like so much opium to keep them in a constant state of shock and paralysis and we export this to more traditional cultures at their peril.